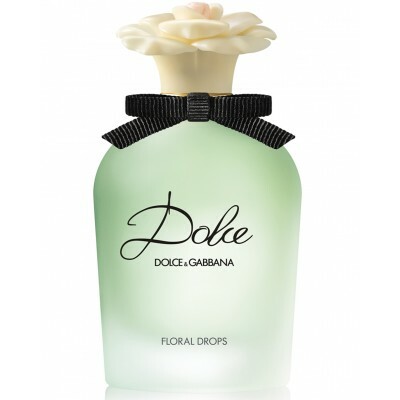 Dolce & Gabbana launched its fresh floral fragrance Dolce in early 2014. The first flanker of this fragrance - Dolce Floral Drops – was introduced a year after. The scent is more fresh and airy than the original and is trying to depict the smell of freshly picked flowers sprinkled with dew.The composition retains the original composition of white flowers. It opens with fresh neroli leaf and papaya flower. Its heart includes white flowers of amaryllis, daffodils and water lily. The base notes are cashmere, musk and sandalwood. Dolce Floral Drops was created by Jean-Marc Chaillan and Laurent Le Guernec.